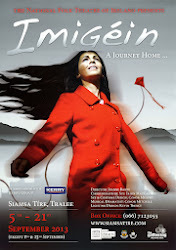 Imigéin - the journey! : So who is going to be on stage? So who is going to be on stage? The cast of Imigéin have all gone through the training system that is in place here in the National Folk Theatre. 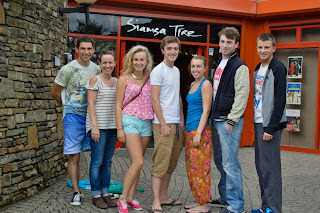 Some have trained back West in Teach Siamsa na Carraige and others in North Kerry at Teach Siamsa Finuge. We gave each cast member a short questionnaire so they can contribute to this blog without being too distracted from rehearsals. Some very enlightening responses so far... wardrobe malfunctions and falling in love (on and off stage), the usual stuff really!!! If any of you out there have any budding performers at home we are having auditions here at Siamsa Tire Tralee this coming October 5th so don't be shy! Note: We still haven't a photo of all the cast - this is the best we can do for now!